The strategy actually has actionable lines of effort and there are things they can do to measure progress, he said. Expanding DoD cyber cooperation with interagency, industry, and international partners. The five areas of interest under the guise of its strategic approach include building a more lethal joint force; competing and deterring in cyberspace; strengthening alliances and attracting new partners; reforming the department; and cultivating talent. The strategy also notes DoD must take action in cyberspace during day-to-day competition to preserve U.S. military advantages and defend U.S. interests. The focus will be on nation states that can pose strategic threats to the United States, namely China and Russia. “We will conduct cyberspace operations to collect intelligence and prepare military cyber capabilities to be used in the event of crisis or conflict,” the document says. Dana Deasy, the department’s chief information officer, told the same committee that the threat from Russia and China is so acute he is briefed weekly from U.S. Cyber Command and the National Security Agency on them. This allows him to understand their offensive and defensive posture relative to the DoD. “Suffice to say that these are very strong, capable adversaries, but at the same time we have some strong, capable abilities ourselves,” he said. Cyber Command has now assembled a full force of cyberwarriors and received limited acquisition authority to start equipping them. However, there is much more work to be done. In fact, aside from individual tools, the force is still in need of a training range where cyberwarriors can do individual and collective training, as well as mission rehearsal, similar to rifle ranges or national training centers in the physical world. 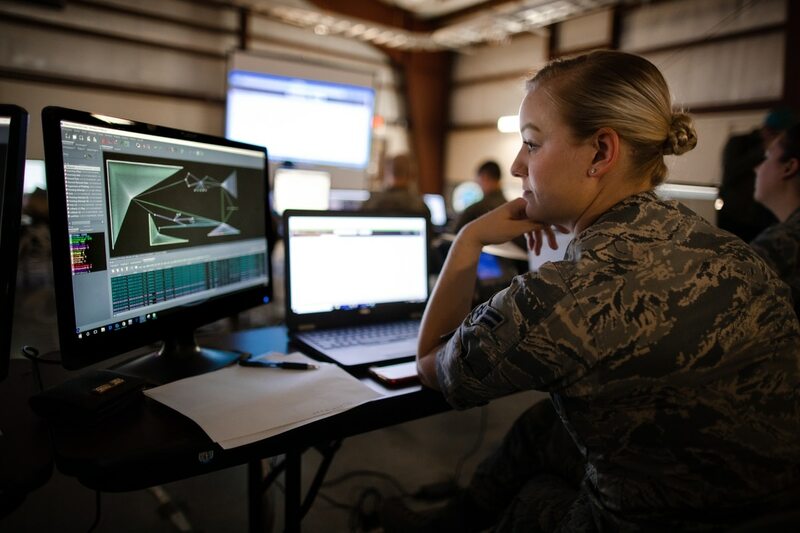 The Persistent Cyber Training Environment, being run by the Army for the joint force, will get after this; however, it is still in the prototype phase with a limited capability delivered to users. Additionally, the force needs a large-scale command-and-control platform that will house tools, provide commanders global situational awareness of forces and enable forces to plug into operations from remote locations. This is the goal of Unified Platform, which is also still in the prototype phase, though officials have said a limited product could be delivered as early as the spring.